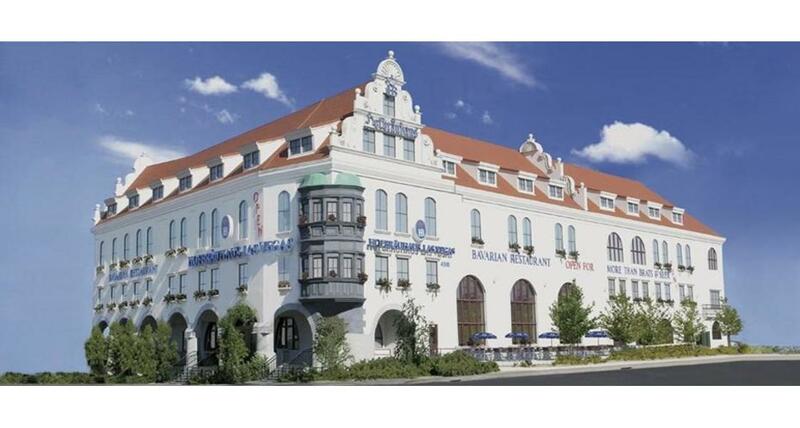 The Hofbrauhaus Las Vegas is the first authentic German-Bavarian restaurant in Las Vegas. The restaurant is the first replica of the world's most famous beer hall from its hand-painted ceilings to its food and drink. The beer is brewed in Munich under the 400- year-old purity law and shipped fresh to Las Vegas. The beer includes Hofbrau premium lager, wheat beer, dark beer and seasonal beers. Bavarian charm and live music abound and guests can savor schnitzels, sausages, Sauerbraten and pretzels. With its beer hall and air-conditioned Biergarten (beer garden), it's Oktoberfest every day. Hofbrauhaus Las Vegas also features live music nightly. In addition, take-out service is available. Groups are invited and Hofbrauhaus Las Vegas can accommodate parties up to 1,000 - call the professional sales team (702) 740-7468 for more information.